Phillip Damon’s scholarly specialty was the influence of ancient literature on medieval texts, but this description is inadequate to represent the breadth of his interests and the publications that resulted from them. Damon was born in Fullerton, California, on September 16, 1922. He attended the Raenford Academy in Encino, California. His undergraduate years at the University of California, Berkeley, were interrupted by a tour of duty as a navigator in the Army Air Forces during World War II. After earning his B.A. in English at UC Berkeley in 1946, he went on in the same department for an M.A. (1949) and a Ph.D. (1952). His dissertation was entitled “Twelfth-Century Latin Vision Poetry.” He was also a student at the Université Laval in Québec and at the Sorbonne (1951-52). He taught English at Cornell University (1952-54), at Harpur College of Arts and Science in the State University of New York (1954-57), and at the University of California, Santa Barbara (1959-66), and both Greek and Latin as Professor of Classics at the Ohio State University (1957-59). He was Professor of English and Comparative Literature at UC Berkeley from 1966 until 1991, but spent two academic years at Stanford University (1974-76). He retired in 1991. Many honors came his way. He was a Fulbright fellow in 1952, a Guggenheim fellow in 1970, and in 1980-81 he was Old Dominion Fellow of the Council of the Humanities and visiting professor of English at Princeton University. 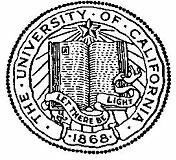 Among the distinctions that his colleagues voted upon him were the Faculty Research Lectureship at UC Santa Barbara in 1964 and the Gayley Lectureship in the UC Berkeley Department of English in 1973. He was an active participant in scholarly conferences and was a member of the editorial board of the journal Comparative Literature. In addition to his expertise in Greek, Latin, Italian, French, Occitan, and Hebrew, Damon learned Akkadian late in his career while pursuing the study of sources and analogues of the Iliad. Damon’s students, particularly his most advanced graduate students, regarded him with a rare combination of awe and affection. Damon was much sought after for his advice on academic matters and was called “the most intelligently learned member of the Department of English.” He was a person of unerring judgment, however reluctantly offered. Although a colleague remembered him as “the smartest person I have ever met,” his modesty was legendary. Nevertheless, he willingly assumed more than his share of administrative duties, chairing the English department at UC Santa Barbara and the Department of Comparative Literature of UC Berkeley. Extraordinarily, he was called upon to chair the Department of French at UC Berkeley in 1972-73. Damon’s interests were incredibly wide-ranging. His articles include studies on the Iliad, the Odyssey, Sappho, Propertius, Beowulf, the Song of Roland, Chaucer, the medieval Latin nature lyric, Alexander Neckham, Godfrey of Saint-Victor, the lexicon of Hisperic Latin, the Hisperica Famina, the Old Occitan Romance of Flamenca, Dante, and James Joyce. He was thoroughly at home also in Renaissance literature and the history of literary theory and criticism. His book Modes of Analogy in Ancient and Medieval Verse (Berkeley: University of California Press, 1961, reprinted in 1973) remains the classic treatment of the Homeric simile in European literature. Despite Phillip Damon’s singularly reserved manner, he was profoundly attached to his family and is mourned by his wife, Carol, and their children Gordon and Celia, as well as by his colleagues and friends.